Value Proposition: a fair exchange between your business and your customer. Recognize that your business is a system of processes that comprise a “Value Chain” from your supplier through to your customers. 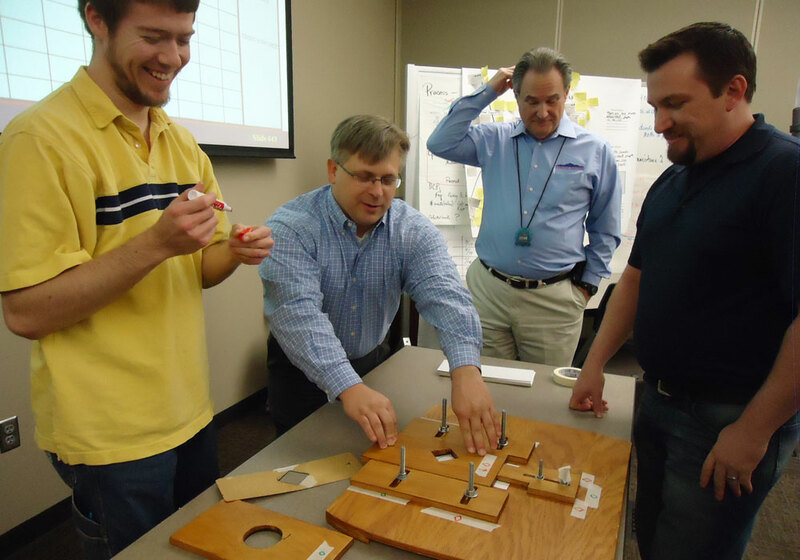 Statistical Process Control (SPC), Six Sigma, and Lean to achieve success. Your “Flagship” products or services – what you are best known for as a business and how your customers identify you. Statistical Process Control (SPC) to tackle and eliminate sources of variation to achieve process predictability. Kaisen and other Lean techniques to eliminate waste. Updates, improvements, modifications to your “Flagship” products or services – “new” variations of the products or services for your customers. Add the Six Sigma Methodology and techniques to work on specific projects associated with the “new” product or service variations. Design of Experiments to determine the best combinations of both product and process variables to meet the customer’s requirements. Innovative products or services – the next generation – that your business has developed to continue offering the newest and best products and services. Six Sigma Methodologies including Design for Six Sigma (DFSS). The discipline of managing processes (rather than tasks) is the means for improving business performance outcomes and operational agility. Processes span organizational boundaries, linking together people, information flows and other assets to create and deliver value to customers and constituents.